When you are ready to Stop Smoking, We can help! Our qualified, experienced Hypnotherapists have helped hundreds of people beat their addiction to cigarettes – and more recently nicotine replacement products such as Gum, Patches and E-Cigs. No matter how long you have been addicted to nicotine, and whatever your reasons for giving up – Health, Money, Family, Work etc – and no matter what other methods you have tried, Hypnosis is the quick, simple, pain free answer. Smoking is an addiction, and like many addictions, the brain is fooled into believing it is being rewarded for a particular action. Take away the nicotine, and the smoker suffers psychological and physical withdrawl symptoms such as irratability, increased hunger etc. These reactions are controlled by the sub-concious mind, and by re-educating this stubborn, difficult to access part of the brain, the process of smoking cessation is quicker and painless. Imagine a relaxing hour sat in our comfortable treatment rooms, your eyes closed, as our consultant re-programs your mind. It really is that simple! Walk away from our clinic as a happy, healthy, confident non-smoker. 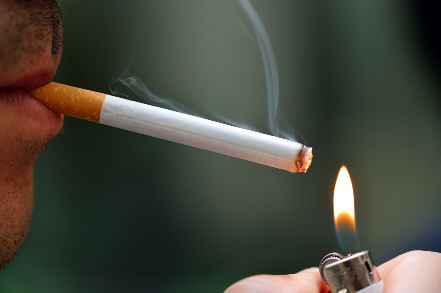 Free Smoking Cessation Audio CD / MP3 worth £97 – listen to our specially recorded, hypnosis reinforcement audio recording, complete with specific subliminal hypnotic commands, every two days for 1 month to reinforce the face to face session with our consultant.